My flying lessons have been an incredible journey of discovery. I began with a sense of wanting to fulfil some areas of life which were not yet realised but did not have a clear vision of what that might be or how I might get there. The process helped me scratch some itches, dig out some surprises and made clearer inspiring visions for the future. Isobel provided challenge and extremely useful and sensitive insights which helped build confidence that the visions could become a reality. With any newly learned skill, flying will need continuous practice and refinement in order to get to my destination but I am equipped with useful tools and inspiration to help me on my way and enjoy the ride. I feel more connected to my creativity again and that what I dream is possible, I just wish I could hold onto this place for long enough to achieve it ! The flying club with isobel smith is a life changer not only does it provide a way forward but also an opportunity to look at the things chewing your ankles that you can finally let go of. As an intensive one day course it was packed full of ideas with rich resources to draw from but it also felt relaxed and tailored towards our needs as a group. Many thanks. 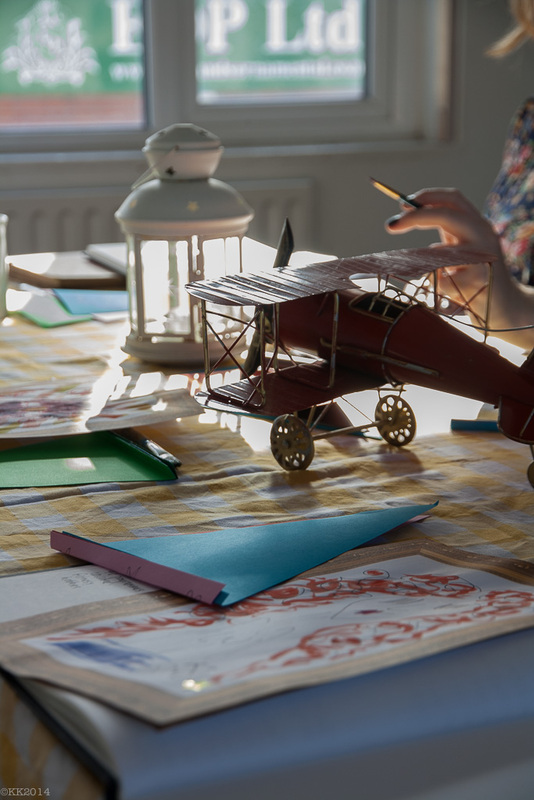 I flew into a new way of positive thinking with Isobel Smith’s The Flying Club creative coaching course. Usually I’m a little skeptical of these sorts of courses but I had the opportunity to try it and I was more than pleasantly surprised. I spent a delightful day looking at how to make the things that truly matter to you happen. No matter how big or small. Techniques to enhance our passions and to help guide you in the direction you want to go. If you feel yourself floundering in life, at a crossroads or doing well but wanting to do even better then get yourself along to one of these workshops. Isobel is a wonderful, kind & funny host and I was pleased to be joined by 2 people I have met before in different circumstances. All in all I had a really productive day. I’ve come away with plans and ideas that will take me far into the future, made new friends and that excitement of trying something new in life. Thanks so much for yesterday – I feel so inspired and encouraged! I’ve been working on my book and will get to work on the six month plan. Luckily I’ve got a week off now so can get lots done (hopefully!). Its so rare to be given a space and permission to dream about where you’d like to be. The day went really quickly – Isobel packed it full with fun and insightful exercises that were stimulating and revealing. The course was well planned – each section moved smoothly into the next, building on the previous. There was a good mixture of different types of activity – from writing and interacting to making and experiential exercises – which kept the course fresh and interesting throughout. Overall, the course exceeded my expectations – it was better planned and more profound than a similar course I attended in London a few years ago. Isobel is a lively, skilled and motivational course leader and I will recommend her courses and creative coaching to others whenever I have the opportunity. Thank you so much for Saturday!! Two days into my project and I’ve done loads – not anymore than was on my plan, but the bite size pieces feel so much easier and mean that my feeling of achievement is huge! I don’t feel utterly swamped and overwhelmed with it. It’s amazing how having a clear plan and a starting place and working through the jealousy barrier has made me feel so much more relaxed about the project. For the first time I can actually see this book being completed, and I’m very excited about it. Can’t wait to show you when it’s finished! I just wanted to share with you my thoughts and reflections on my experience with “The Flying Club”. It feels really special to have been on, what is after all a very personal journey, with this group of supportive and interesting women. I hope K, V and myself will continue to support each other. At the beginning of the course, check in, I wasn’t sure if it was going to work for me. I think this was more about my resistance and I couldn’t see where we were going ( did I need too?). But it soon became clear to me that some thing was on the move! I would say that your style is both encouraging and nurturing. I felt that your affirming of each of us was genuine, you conveyed a belief in us that for me supported the sometimes fragile belief I have in myself. The techniques were for me accessible and facilitated a shift in my thinking, opening me up to my possibilities. Looking over the ground we covered the process makes so much sense to me. I think you have really “tooled me up”. Flying Club is a great concept Isobel, it’s a really apt metaphor/vehicle, no pun intended. I would certainly recommend to friends.